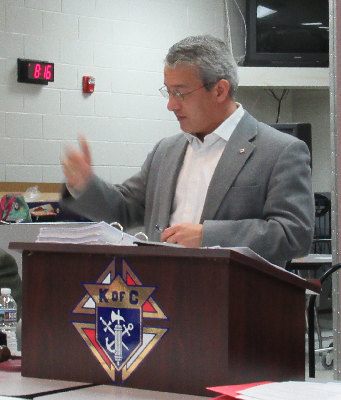 Latest News for the Knights of Columbus Council 13467, Virginia Beach, Va. The following are items of general interest to the members of Council 13467. On February 9 we provided much needed support for the Poor Claires work project. Twenty-one Brothers participated by cutting pine trees, diseased trees and stumps. They cleared over 275 yards of trails and paths, refurbished a special hand carved sign, repaired a light pole, 4 wheelbarrows, cart, bell and chain saw. Overall, a very successful trip. We will return in the spring to do more work. Details will be posted as they become available. Food Lion distribution will contimnue all year long on Tuesdays and Thursdays at 9am. Items donated by Food Lion will be brought to the Sullivan House. Fr. Rob is very supportive of this effort. Our nominations are due to the State Program Director by the State Quarterly Meeting on March 2nd. I have talked with John Domingo and the new Youth Director and have come up empty. If anyone knows of a young person in our Parish (18 or younger) that would meet this requirement, PLEASE let me know. 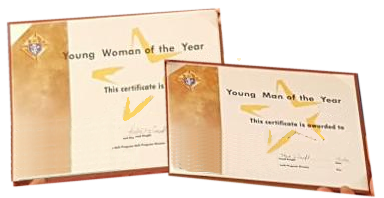 I have attached a copy of the nomination form for your perusal. I will do the leg work. I just need to know who to do the leg work for. Everybody that is in some way involved with the youth programs in the Parish(i.e. Scouts, Choir, Confirmation, etc.) please take a moment and think about this and point me in a direction. Contact for additional information or scheduling assistance. Each month Brothers and their families gather on the 3rd Tuesday in an informal, casual manner to enjoy an evening of comradery over good food. Our gathering place changes monthly and is always local. To make sure the resturant has adequate seating for our group we need to provide a head count prior to the event. Please RSVP with the number of guests you will be bringing NOT LATER THAN SATURDAY prior to the dinner. It is with great pleasure that St. John the Apostle (SJA) Council 13467 welcomes two new members to the Order, Arthur T. Sanchez and Michael A. Brandwein. 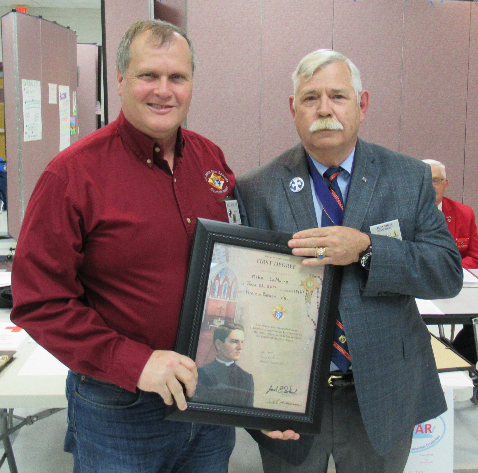 Both men completed the Initiation and Formation Degrees on 22 January 2019 at exemplifications conducted by the SJA Council 13467 Degree Team at the St. John the Apostle facility, Virginia Beach, VA.
GK Jack Shick presents Art Hill with the "Family of the Month" for February. GK Jack Shick presents Mike Walsh with the "Knight of the Month" for February. 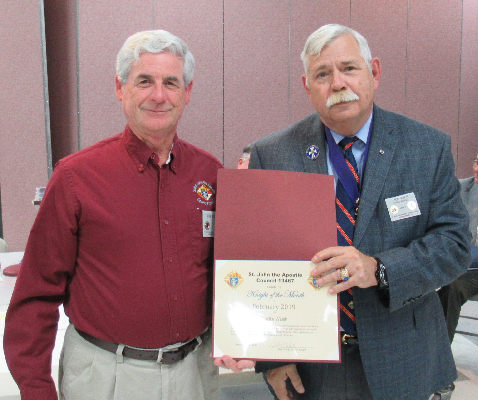 GK Jack Shick presents PGK Mike Lemoine with the "First Degree Honoree" for January. FA Ben Salazar addresses the members at the February meeting. The council received the following communications this month. 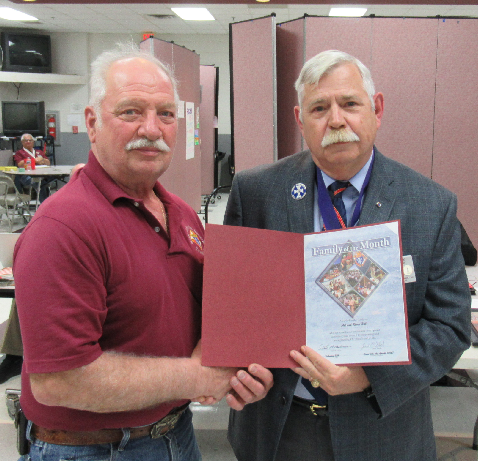 Grand Knight acknowledged a letter from "Hope for Life"